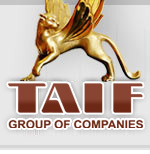 CJSC “TAIF-Gasservice” was established in 2002. The main activity lines of the company are refining of hydrocarbons, stable gas condensate, oil and gases; derived hydrocarbon products sale, building and maintenance of fuel filling stations (LPG and gasoline), building and maintenance of natural gas conversion stations, commerce and intermediate services. Registered office: 4, Mushtari str., 420012. Production and creative association LLC “21 Century” was established on July the 1st, 2003, to provide advertising, PR, and information services. The association holds its own instant publishing production and a design studio. Electronic publishing salon of the association carries out instant digital printing as well as various printing products copying: business cards, calendars, posters and booklets, playbills and brochures, stickers, cards, catalogues, newspapers and magazines. All company members work for the long-term future of the Company, with individual approach to the clients and by choosing the best solutions. “TAIF” Group of Companies acquired Kekin House in 2000 and decided to restore this famous building. By that time, this unique, centuries-old building had been half-destroyed. There was even an idea to wreck Kekin House. PSC “TAIF” established OJSC “Kekin House” to be the investor for the project of reconstruction. LLC “Production and Construction Corporation “Kazan” had become the building owner and LLC “TAIF-ST” – the general contractor. “TAIF” invested more than RUR 280 million to renew the beauty of this federal monument. Today, “Kekin House” looks like centuries ago, representing even the particular small details of the architectural idea, created by Genrih Rush. The official presentation of this building took place on December 25, 2004. Nowadays, as well as a hundred years ago, restaurants, cafes, offices, stores are situated in “Kekin House”. LLC “Private Security Company “Kennard”” was founded in 1997. LLC “PSC “Kennard”” provides services of security guarding: people’s health and survival security, property security, armed guarding of cargo throughout the Russian Federation and Tatarstan, providing consultations and recommendations concerning the issues of legal protection against illegal invasion. The company continues developing new security services: the objects of various ownership can be secured by the use of central surveillance system and armed response groups, responding to the cellular communication GSM based alarms. The technical department of LLC “Private Security Company “Kennard” privodes engineering, erection, pre-commissioning, maintenance and repair of fire and security alarm systems, of internal and external video surveillance and access monitoring, internal communicators, radio and television systems. “Kennard” team uses the most up-to-date developments in the sphere of security equipment to provide the stability and safety of its security systems.